A woman impaired by a brain tumor and diabetes was still missing Monday, Gwinnett County police said. A Mattie’s Call was issued Sunday for Stacy Janine Parker, 42, who has been missing since around 2 p.m. on Friday. Parker’s sister and caregiver, Katrina Parker, told the Atlanta Journal-Constitution on Sunday that the woman had called her from a Salvation Army center late Sunday afternoon. However, Gwinnett police said Monday afternoon that Stacy Parker has not been located. “We still consider her a missing person and we still consider her at risk,” police spokesman Cpl. Jake Smith said in a statement. Katrina Parker, the sister, could not be reached for comment Monday. According to police, Parker was last known to be at the Venture Cinema on Venture Drive near Gwinnett Place Mall on Friday. She has diabetes and a medical condition that mimics Alzheimer’s, including confusion and forgetfulness, Smith said. Parker is black, stands 5 foot 5, and weighs 140 pounds. She was last seen wearing a gray pea coat, white long-sleeve shirt, black capri pants, white shoes and she carrying a pink bag, according to police. Katrina Parker said she hadn’t heard from her sister since Friday. She was heading to work, and gave her sister money to go to the movies when the person who was supposed to watch her didn’t show up. Anyone with information on Parker’s whereabouts is asked to call Gwinnett County police at 770-513-5100 or call 911, Smith said. Re: Woman impaired by tumor, diabetes still missing. Stacy Janine Parker, missing since Friday, suffers from a brain tumor and diabetes. 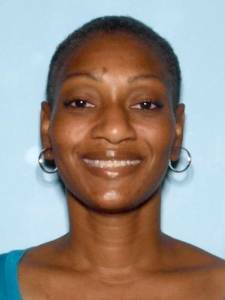 Gwinnett Police need public's help in finding woman last known to be at the Venture Cinema in Duluth. Gwinnett Police are asking for help in locating Stacy Janine Parker. Stacie was last known to be at the Venture Cinema on Venture Drive near Gwinnett Place Mall on Friday, Nov. 23, at approximately 1 p.m.
She has diabetes and a medical condition which mimics Alzheimer's including confusion and forgetfulness. Although there have been reports that Parker has been found, the Gwinnett Police Department has not confirmed them and was still considering her missing Monday. Parker is a 42-year-old black female, about 5' 05" weighing 130-140 lbs. She was last seen wearing a gray pea coat, white long-sleeved shirt, black capri pants, white shoes and was carrying a pink handbag. Anyone with any information about her is asked to contact the Gwinnett Police Department at 770-513-5100 or by calling 911.